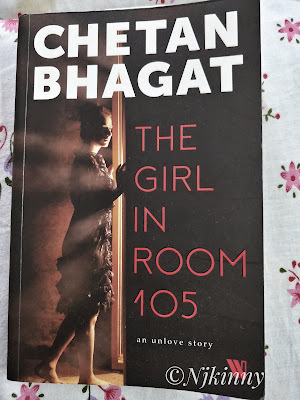 The Girl in Room 105 by Chetan Bhagat is a murder mystery/ thriller which is a first by the author and it was this fact as well as the intriguing name and blurb that had me pre-ordering the book to read. As you know, I have a special spot for mysteries and if a known author delves into this genre then it is a sure shot 1-click from my side. The Girl in Room 105 is the unlove story of once lovers- Zara and Keshav. Obsessed with Zara who has moved on, Keshav is thrown a second chance when he receives a meeting request from her and what happens next is a journey that takes the readers places and makes them feel myriad of emotions. I got hooked in the story right from the start and could not keep the book down until the end. Chetan Bhagat has surpassed all expectations with this book. 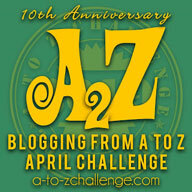 His narration is crisp and fluid and had me engaged throughout. The plot is well researched and his observations brutally frank where he talks about complex relationships, the many prejudices ailing our society (religion, culture, location or even skin colour), the controversial Kashmir issue with its many facets and the terrorism angle. The strength of a writer is showcased when he/she can talk about a debatable topic without taking sides and Chetan Bhagat manages this with flair in his book. He talks about the Kashmir issue without taking sides and shows us both sides of the coin so to say. I laughed at his honest, unpolished observations about the typical expectations of Indian parents from their kids -get into IIT, join a multinational, marry a proper partner, have kids and live happily. Saurabh, Keshav's friend is my absolute favourite in this book. He is loyal, funny, smart and a foodie. All through the book, I kept thinking how I would love to have a friend like him! Keshav is a decent guy but his unhealthy obsession with Zara is his one downside. His obsession is what brought his downfall and then led him to a second chance. I think everyone will relate to him somewhat and also learn from his journey. I enjoyed the camaraderie between him and Saurabh. I am hoping I get to see both these friends again in Mr. Bhagat's future books. Zara is a character, I didn't understand and have mixed feelings about. Sometimes she is likable with her passion for working towards achieving peace in Kashmir and at other times, she seems fickle with no regard for others. The story is fast paced, a dramatic thriller with a mystery that will keep you guessing throughout. Well planned twists and turns with crisp narration that kept me hooked throughout, eagerly turning pages to know what happened next, I think The Girl in Room 105 is the best book by Chetan Bhagat till date. 4.5 super shiny stars out of 5 to The Girl in Room 105 by Chetan Bhagat and Njkinny strongly recommends this book to everyone. I am taking away a half star from my rating in hopes that the future books by the author will be better and better so I can rate them full on five stars!